modern, politically radical, Americanized “Christianity”. He is not pleased with what it teaches or how it operates. In a recent article he gives a fairly thorough explanation of his concerns and how they relate to current political personalities – e.g. Michelle Bachmann. 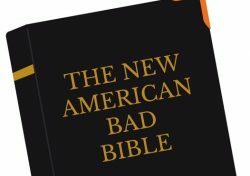 America has a problem: It’s filled with people who take the Bible seriously. America has a blessing: It’s filled with people who take the Bible seriously. How does this blessing coexist with the curse derived from the same source: the Bible? The answer is that the Bible is a curse or a blessing depending on who is doing the interpreting. Sometimes belief in the Bible leads to building a hospital. Sometimes it leads to justifying perpetual war and empire building. Same book—different interpretation. I have a hermeneutical bias. 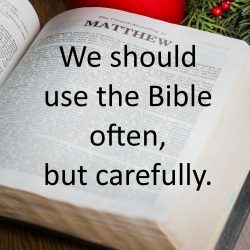 I believe that if we take the whole Bible as it actually presents itself, we are going to be doing things comparable to “building a hospital”, NOT things like “justifying perpetual war and empire building” nor, I might add, promoting and defending greed as a practice of the highest value. That is, I believe that you have to (deliberately?) 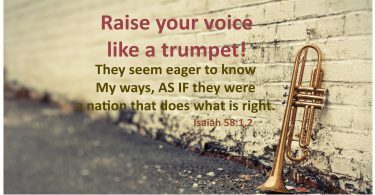 misinterpret and misuse the Bible in order to get it to justify those evil behaviors that so much of the Bible speaks vigorously and repeatedly against. But you’ve gotta admit there is some weird stuff in that book. HOW do we with integrity get it more or less right, get an honest balance, and avoid just importing our own preferences? I. We must listen to Jesus. And we must listen to His designated self-interpreters,the authors of “the letters” in the New Testament. It IS true that the revelation that has come to us in The Son of God trumps that of, for example, Moses. Jesus would say it like this – He “fulfills” Moses. He brings “the Law” to what it was naturally tending towards, or to what it was intended for. Seriously, if we call ourselves Christian, we’d better submit ourselves to that. Otherwise we have some other Jesus, some other Spirit, and some other Gospel. Jesus makes it explicit; we are to be HIS disciples. We are to believe in HIM, receive HIM. That is a huge, huge fact that the Dominionists and those influenced by them tend to gallop right past in their enthusiasm for Moses and their zeal to be the ones in charge of a new theocracy. But if we ignore Jesus, we ignore our salvation – we ignore any hope of shalom in us, in our society or in the world. Pretty big deal, you see! But what about the “Old Testament” – if we don’t feel we should elevate the teachings of Jesus to such a level? II. We listen carefully to the Psalmists and especially to the writing Prophets. They are offered to us as inspired interpreters of the spirituality of “the Law” (Torah, Pentateuch, books of Moses). And they strongly stress the moral demands of those writings, with strong special emphasis on economics and social justice. That is truly what they emphasize. And they strongly stress that those (usually the people of Israel) who ignore those moral demands will pay terribly for their arrogance, brutality and self-indulgence. The key is the interpreter’s integrity and diligence. So it is true – the Bible can be made to say anything. But so can a newspaper article or a dictionary. The key is the interpreter’s integrity and diligence. Interpretation based on integrity – on honoring what the document is in the first place, and how it presents itself – is what we need. That doesn’t solve all the problems that a huge and complex book like the Bible brings by any means. But it puts us on that narrower road of humility, love, and shalom rather than the broad and common road of arrogance, greed, and destruction. for what they are False prophets. Have they read the part on the Bible where it said “not to make money out of money “? Isn’t that what the stock market is all about … Isn’t that what Mr. Mitt Romney is all about ? How about the coins that he gave to certain people, one person buried it and Jesus said better for it to be put in the treasury to at least have interest built up. He took that one coin from that man and gave to another. Great post again, thank you. I’ve sent you a private response in an email. As someone who spends a lot of time reading this great book, which is spirit, truth and life eternal, I couldn’t agree more heartily. For example in Exodus 33:11, it says plainly that Moses and the Lord spoke face to face. In Exodus 33:20-23, there is an exchange about those who see His face not living. This is an example of the multiple entendre found in the writings. I interpret this as a prophecy about the Jews not seeing the Messiah until He had passed through this world – an end times explanation as to why they were blinded. It would be beyond the scope of this comment to clarify it all, but just to say that it is so important to know when something is literal and when it is figurative, and that takes years of disciplined study.